As one of the most cultivated and consumed fruits in the world, apples are continuously being praised as a "miracle food". 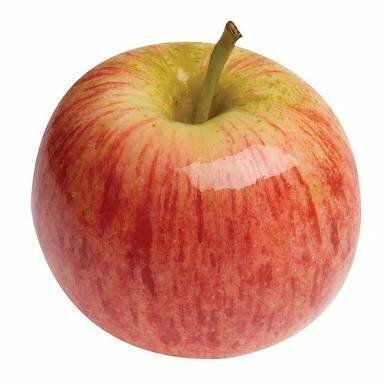 In fact, apples were ranked first in Medical News Today's featured article about the top 10 healthy foods. Apples are extremely rich in important antioxidants, flavanoids, and dietary fiber. The phytonutrients and antioxidants in apples may help reduce the risk of developing cancer, hypertension, diabetes, and heart disease. This article provides a nutritional profile of the fruit and its possible health benefits. It also discusses the possible risks and precautions and some frequently asked questions. It should be noted that both studies were funded by unrestricted grants provided by the U.S. Apple Association and Apple Products Research and Education Council. A study published in the Journal of Food Science in 2008 suggested that eating apples may have benefit for your neurological health. The researchers found that including apples in your daily diet may protect neuron cells against oxidative stress-induced neurotoxicity and may play an important role in reducing the risk of neurodegenerative disorders such as Alzheimer's disease.